For the man that loves to get up and go in the mornings, Jimmy Choo Man ICE is there. It is a fresh, invigorating fragrance that really gives a sense of awakening when it is smelled. Jimmy Choo Man ICE has an almost elegant sportiness to it. At least to my nose, I tend to associate fresh, clean scents with sport and this is definitely a scent that would give you a boost en route to a morning workout and from the gym to the office ready to confidently tackle the challenges of the day. It is an aromatic, woody scent with refreshing top notes of mandarin, bergamot and cedrat essence, which are really apparent when the fragrance is first sprayed. The heart of the fragrance intensifies the fresh air with a fragrant woody accord made up of vetiver essence, patchouli essence and crisp apple; the latter of which really stands out to me with this scent. The base of this eau de toilette is created from the musk, moss and ambroxan, a synthetic version of ambergris, which help to give it the elegant air that you’d expect from a Jimmy Choo fragrance. Jimmy Choo Man ICE is very much a scent for the modern man, on the go from the gym to the office. I do find that citrus fresh scents are best suited to the daytime, particularly this one as while the initial hit is quite powerful, the dry down scent is not overpowering and there isn’t masses of projection from the scent which makes it very easy to wear. Everything about this scent is stylish, right down to the packaging. Bang on trend with a white matte lacquer bottle in an ombre design with silver metallic accents and a mock croc skin textured lid, complimented by a white, faux croc skin, textured outer box that has become synonymous with Jimmy Choo fragrances of late. The bottle is hardwearing, making it a great one to pop in your sports bag, backpack or briefcase for extra spritzes midday; I found that the scent would last around 4 hours on the skin which I think is pretty standard for a fresh scent. 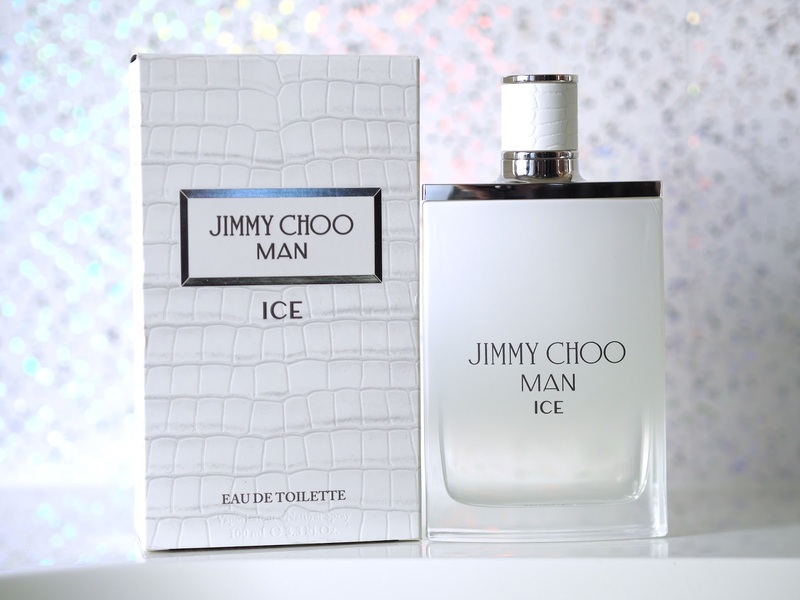 Jimmy Choo Man ICE is available as a 100ml bottle, a 50ml and a 30ml. If you’re looking for a present for the man in your life be it for their birthday or Christmas then I’d think that this would be a pretty safe bet as its clean and fresh smelling; and what man doesn’t want to smell like that?! What is your favourite Jimmy Choo scent? Which mens fragrances do you like the most? I have always love Jimmy Choo products … and have never tried checking out the mens fragrances! I am so missing out for sure. I need to get a look on this for my hubby. 😉 I am sure he will love it. I've been looking for something to get my partner for Christmas, I think he would love this! Ohh now this sounds like an interesting fragrance, I'm always trying to get the other half into trying different things, I'll have to perhaps treat him. Great to hear that this could be thrown into a sports bag – that makes it perfect for my boyfriend! I usually pick up an aftershave for Mark at Christmas, and now the boys are getting older, I'll probably start buying it for them too. This sounds lovely, definitely going to take a look for it. The Jimmy Choo perfumes are probably the closest I'll get to owning the shoes! I'd love to test this one. The Husband has been wearing Joop for ages and it's time to try something new. I think my husband would love this. Something to check out for his Christmas presents. Jimmy Choo does everything so right! I would love to try to get my boyfriend this scent asap! Thanks for the review! I love jimmy choo products especially the perfumes, this sounds like a lovely fragrance, will have to get it for my partner.